I got my swap last week and it was packed with specialness! I’m loving this swap, I can’t wait to see what you do! Fab!! I really want to see what everyone got, and what they plan to do with it! Love those little pin cushions – its made me realise I need to get creative and replace me boring foam-stuck-on-plastic-box job. Thanks! I had some scrap stuff which lead to the first, after that it was a bit addictive! 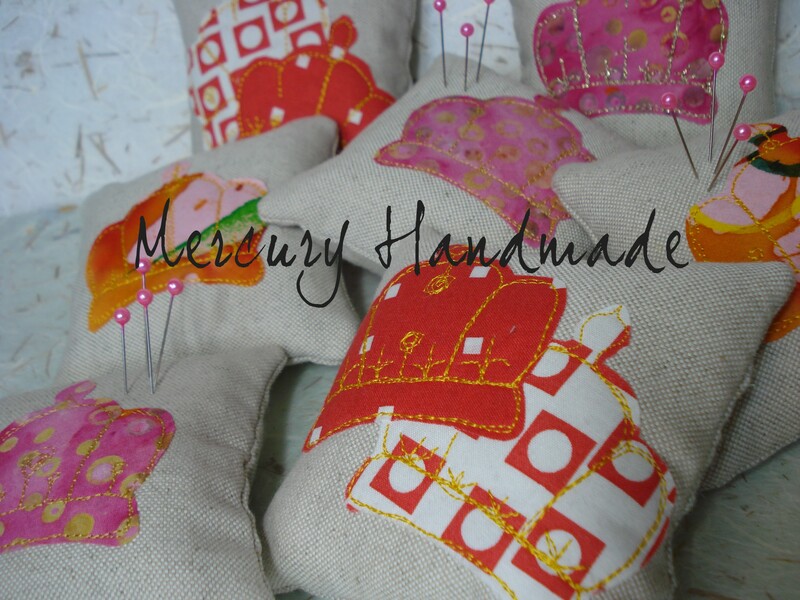 You never can have too many pin cushions! 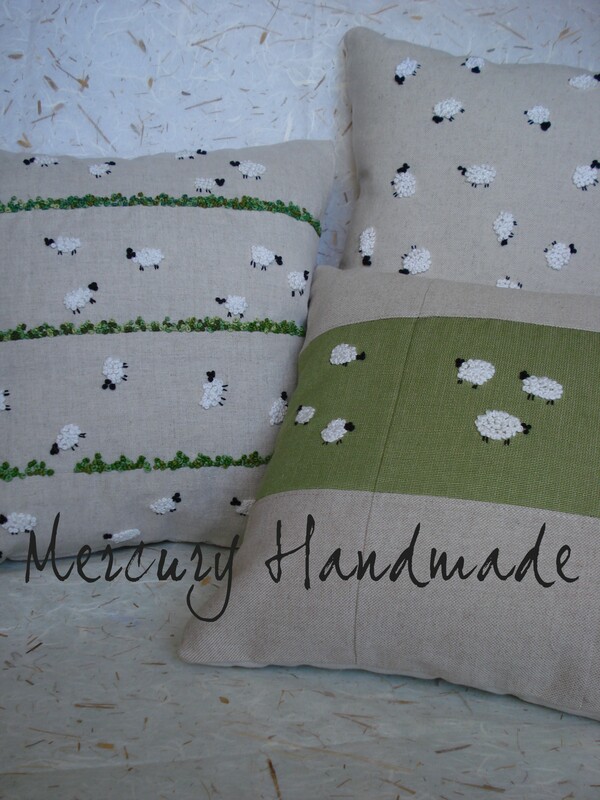 I love the sheep cushions. They are so cute! oh my goodness. i intimidate you? mais non! have a shot of something delicious and know that i will rip into your package with joy!!! like jeyco i misunderstood too, i thought the person i was sending to was my partner, this makes it even more of a surprise :)! i just got my package, it is BANANAS! organza in every color of the rainbow! those stunning silks and linens and embroidered yards! WASH AWAY STABILIZER!! did you send this before my stabilizer post, do you have ESP? i’ll do a proper post soon but i just wanted to say thank you thank you thank you… i’m off to tear into some fabric! YAY!! So glad it’s finally there, and so glad you like it!! 😀 Have fun tearing into it all!! Oh how funny! I too was confused about the swap. I thought we were doing it in pairs too. I only realized that this wasn’t the case when I read your post! Tee hee! No worries though- this makes it more fun and adds an element of surprise to the whole thing. Don’t worry about feeling guilty. It takes some time to take decent pictures and write a good post about it. Look forward to seeing your score! I’m looking forward to TJ’s round up, so we can see what got sent all round the world!